Q. What is considered a good credit score? A. Credit scores can range from 300 to 850. Generally, anything over 700 is a good score. Your score factors in your payment history, types of credit, and outstanding debt. Q. If you must borrow $200, would you rather pay back $205 or $200 plus 5% interest? A. $205 is better because $200 plus 5% interest comes out to $210. Q. You have $1,000 in a savings account earning 2% interest a year. After two years, how much would you have? A. The savings would grow to $1,040.40 by the end of the second year because of compounding interest. Q. If you're investing, is it safer to put your money into a single holding or multiple assets? A. It's safer to put money into multiple assets. Through diversification, your risk of losing money decreases when money is spread across multiple investments (although there are no guarantees). Q. Over the next 15 years, the cost of living and your income both double. Will you be able to buy more, the same or less than today? A. The same. Inflation drives up costs, but buying power stays the same when inflation and income rise at the same rate. 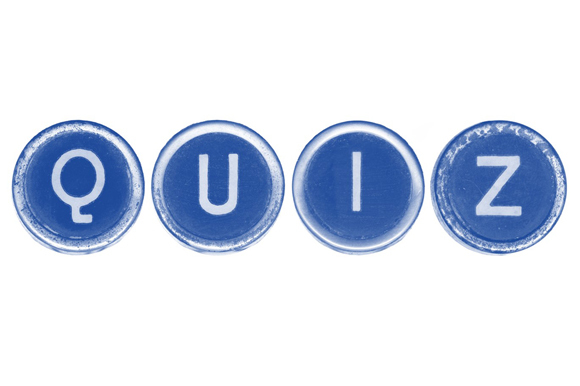 How did you do on this quiz? You may need more guidance than you thought.